That Dapper Chap tell us about an exciting collaboration between Private White and Grenson shoes. For the Spring/Summer’15 season, Private White V.C. 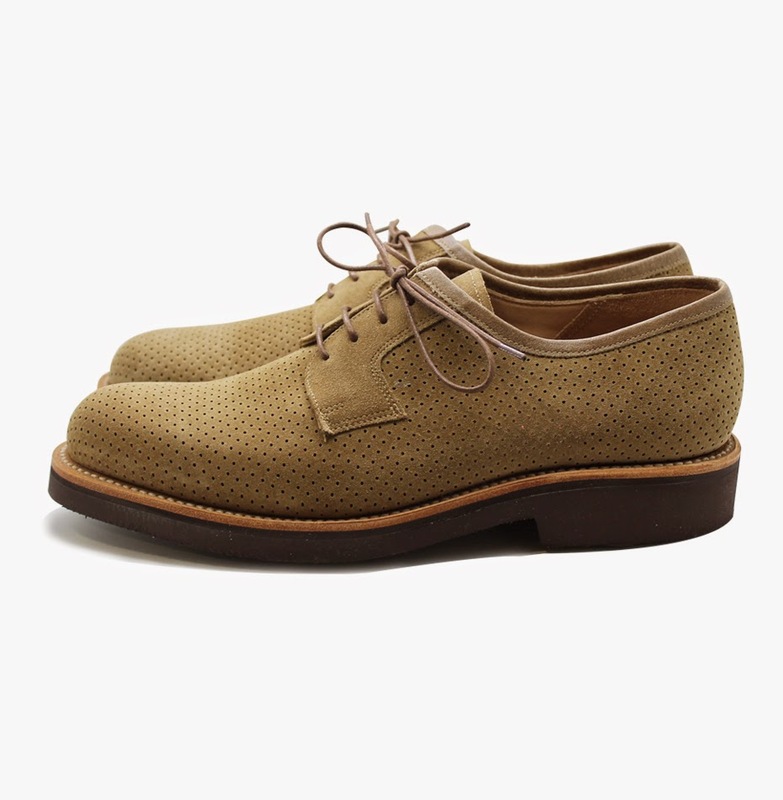 unveils an exclusive collaboration range with Grenson Shoes. 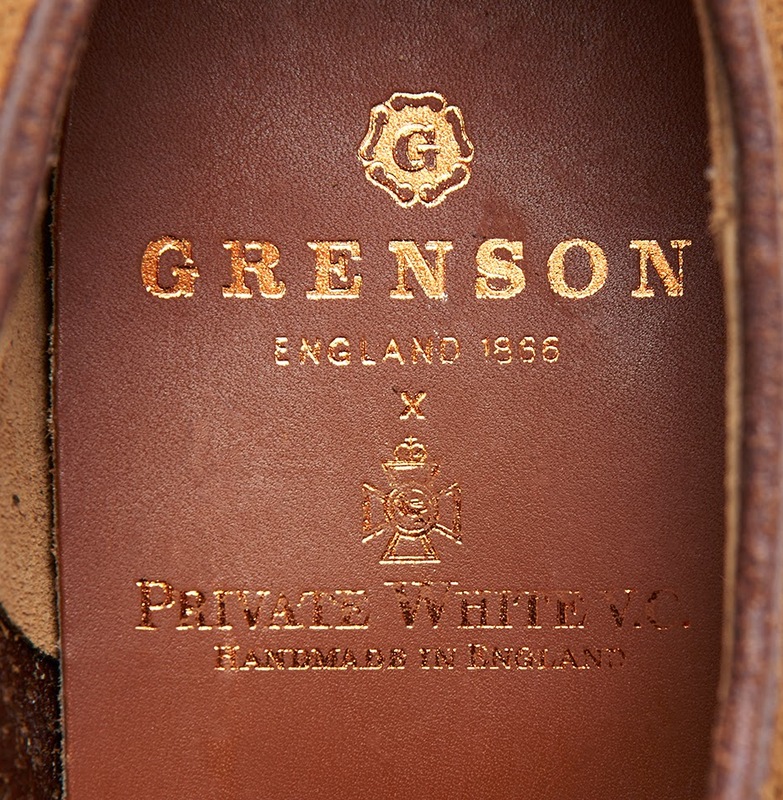 Grenson is a traditional English shoemakers with a rich heritage and Private White V.C. are proud to collaborate with such a remarkable company. Despite the many years that Grenson has operated, the brand has modernised to produce some of the world’s best contemporary footwear, under the direction of owner, Tim Little. The Private White V.C. 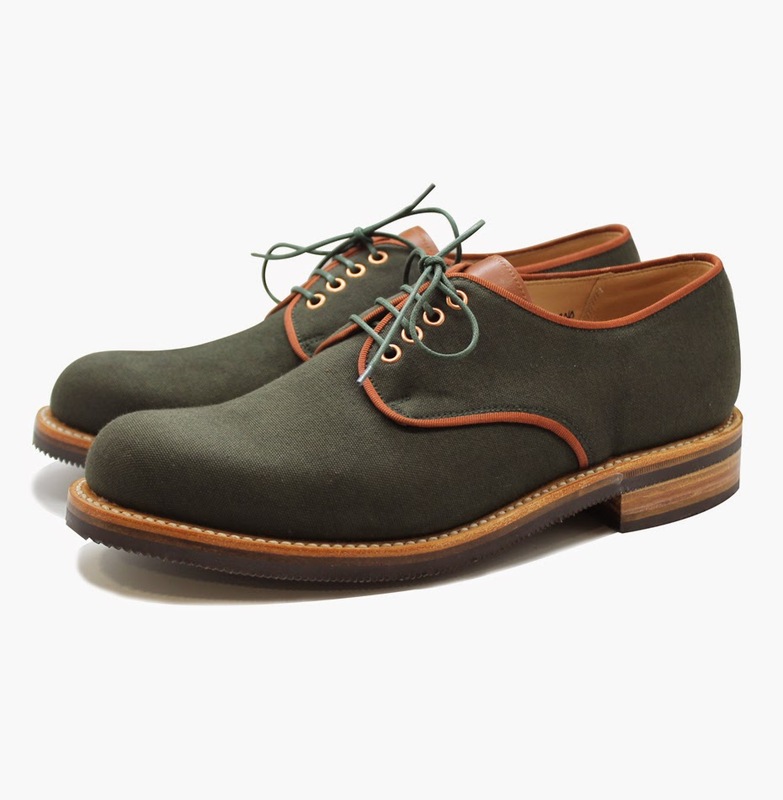 X Grenson range, produced in collaboration with the shoemakers’ designers, features three exclusive styles. All handmade ‘from skin to box’ at the Grenson factory in Northamptonshire, these shoes are made using the traditional Goodyear Welted construction; a world renowned hallmark of quality shoemaking and process which was pioneered by Grenson Shoes. Featuring distinctive details like bespoke colours and trims, as well as handwritten detailing of the shoes in the lining of each pair. 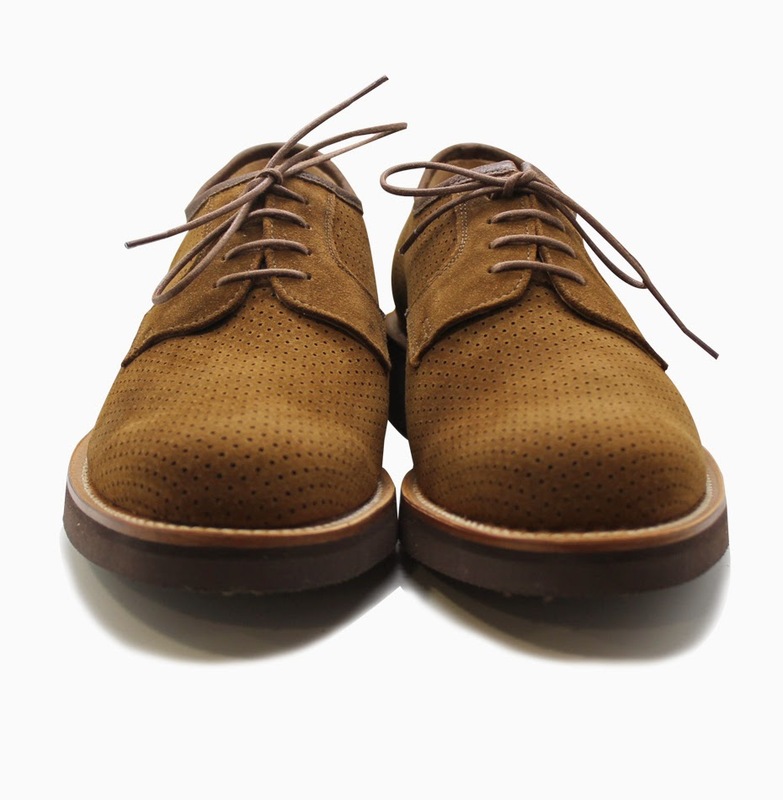 “We have long been fans of Grenson Shoes. The company has an incredible history in shoemaking and their ethos of preserving time-honoured manufacturing skills while evolving to create cutting-edge styles which are relevant in today’s market mirrors ours. 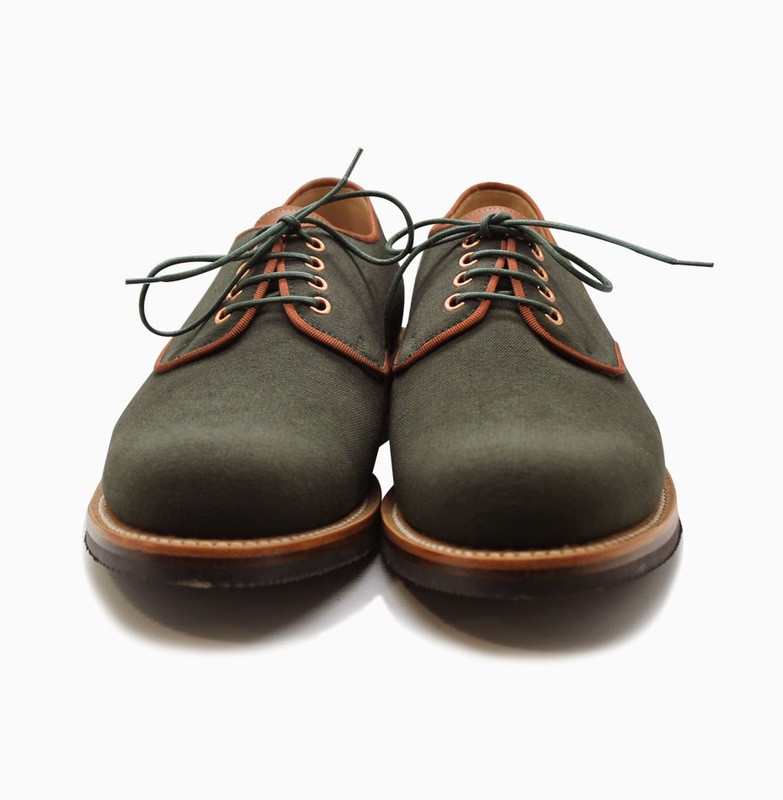 The Wilde shoe is created in finest cotton canvas in a distinctive Olive green. The canvas is bound around the quarters in a copper shade petersham to finish the edges. 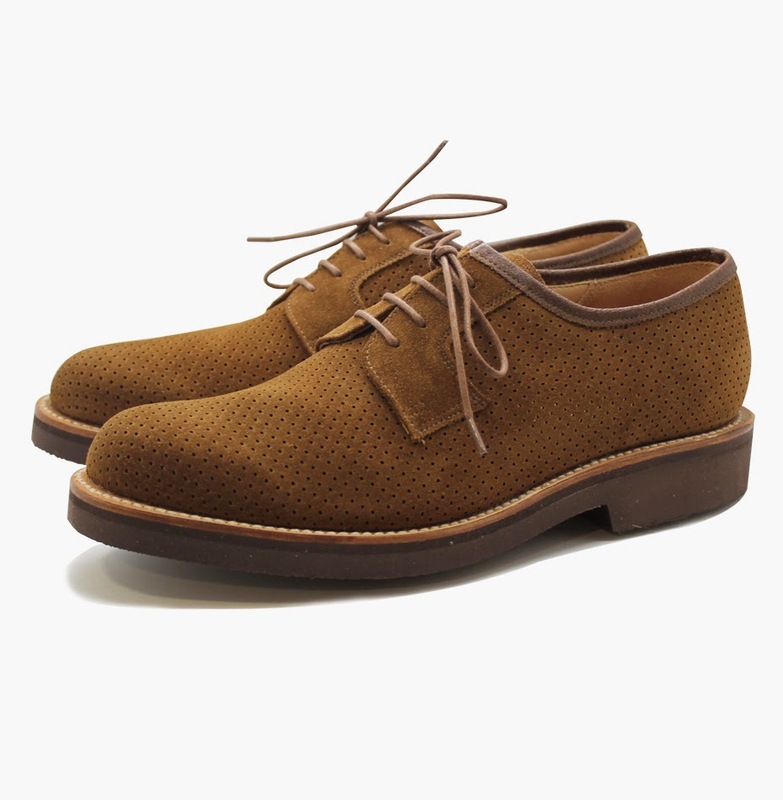 This style features a full leather lining and sits on a solid rubber ribbed sole attached to a leather through. 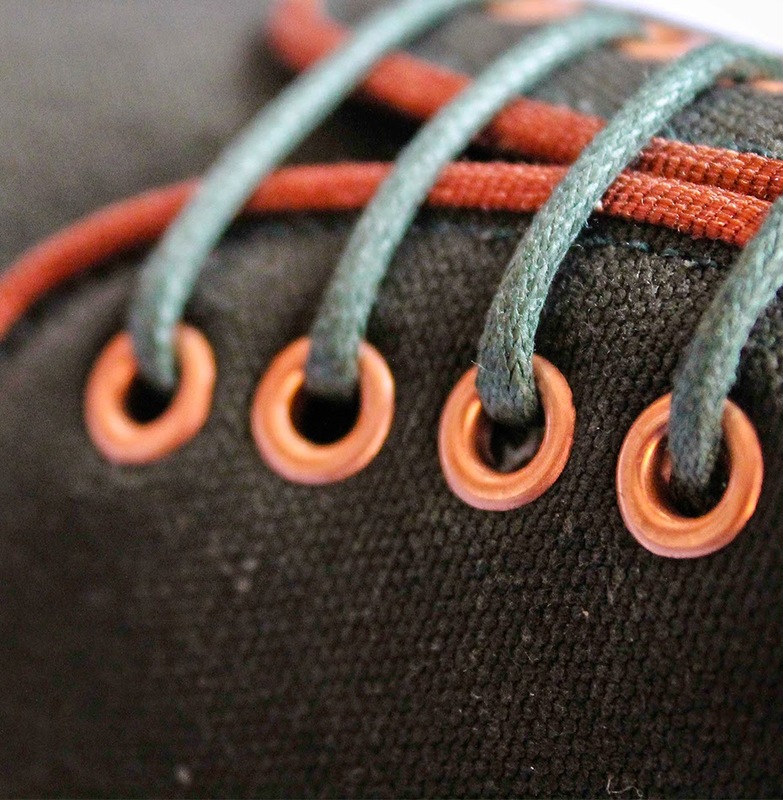 Finished with copper eyelets – a signature Private White V.C. touch. The Private White V.C. clothing range is manufactured at its very own factory, nestled in the heart of Manchester. The factory is currently run and managed by World War I Victoria Cross recipient Private Jack White’s great grandchildren who all share his undying love, passion and dedication to both the British and local textiles industry. The brand utilises the finest British materials and craftsmanship, sourcing fabrics from local mills and employing traditional manual production techniques. The collection is designed by Nick Ashley, former head of Dunhill menswear and son of interior designer, Laura Ashley.